The Reading Fightin Phils (26-22) snapped the Richmond Flying Squirrels’ six-game win-streak with a resilient, 4-3, victory at FirstEnergy Stadium on Saturday night. The Squirrels were attempting to match the franchise-record with their seventh straight win, but were unsuccessful for the second time this month. Richmond jumped out to a quick lead against righty Aaron Nola in the first inning. With one out, Rando Moreno striped a single into right field. Mac Williamson followed and drove an RBI triple off the top of the center-field wall. Moreno came around for a 1-0 lead. Moreno’s single extended his on-base streak to 18 games and his hit-streak to 12 games. Williamson’s triple extended his on-base hit-streak to a team-high 19 games. The Fightins grabbed their first lead of the night against left-hander Jack Snodgrass in the second inning. Cam Perkins led off the inning and tied the game on Snodgrass’ first pitch, which he lifted over the left-field wall. The solo-shot, his fifth of the year, tied the game, 1-1. An out later, Gabriel Lino lined a single to left field to get Reading started again. Another out later, Nola bounced a single over third base to put two aboard. Roman Quinn then knocked in Lino for a 2-1 lead with a single to center field. Nola and Snodrass both settled in, and the game remained a one-run affair through the middle of the seventh. Snodgrass worked six innings to a no-decision. He allowed just four hits, issued no walks and struck out one. Nola finished seven innings, permitting just the lone run on three hits. He also didn’t issue a walk and struck out seven. Neither starter factored in the decision despite their strong performances. Reading added a run to their lead in the bottom of the seventh off of right-hander Pedro Rodriguez. With two outs, Quinn singled and promptly stole second base. J.P. Crawford delivered his first Eastern League hit to score him, lining a single to right-center field. Richmond finally caught up upon Nola’s departure in the eighth. Right-hander Nefi Ogando came on in relief and walked Moreno with one out. Williamson followed with a single to put two aboard. Devin Harris then yanked a two-run double into the left-field corner. Moreno and Williamson both scored to level the game, 3-3. Undeterred, the Fightins posted the winning run against right-hander Joan Gregorio in the bottom of the eighth. Aaron Altherr started the inning with a single to left field and Gregorio then walked Brock Stassi to put two aboard. Perkins bunted the runners up, and Gregorio intentionally-walked Brodie Greene to load the bases before being lifted in favor of right-hander Jose Casilla. Gabriel Lino then delivered the game-winning run with a sacrifice-fly to center field. The run was charged to Gregorio (1-1), who took the loss for Richmond. Ogando (2-1) earned the win despite allowing the two runs in the eighth inning. Right-hander Stephen Shackleford collected his ninth save of the year as he worked a scoreless ninth inning. Game three of the four-game series is scheduled for 1:35 p.m. at FirstEnergy Stadium on Sunday afternoon. Richmond RHP Kyle Crick (1-1, 2.10) will make the start against Reading LHP Jesse Biddle (4-1, 4.46). 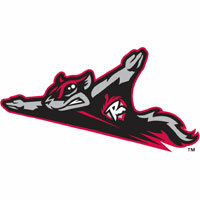 The Flying Squirrels Pregame Warmup will begin at 1:00 p.m. on Fox Sports 910 and FoxSportsRichmond.com.